Our timber windows are exceptionally engineered. For almost 100 years, these windows have stood out for quality and they offer a mix of technology, design, innovation and sustainability. Check our other windows too! We offer a wide range of uPVC windows, aluclad windows and aluminium windows. Wooden windows with outward opening. 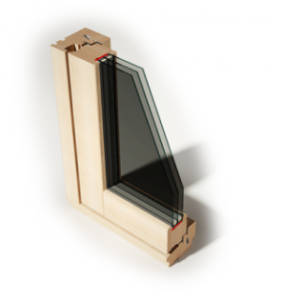 With NATURELINE 78, brings a wooden window to the market, which, even though an “entry-level” model, delivers all the benefits of product quality. 78 mm overall depth and 100% wood enable the very best structural physical properties and outstanding Uw values of 1.2 to 0.7 W/m2K. Innovative extras like Thermostop® and Audiostop® ensure more warmth, quiet and open vistas, keeping your permanently beautiful. The range of paints and glazes fulfills every wish. Design your own windows just as you would like them. DK Windows & Doors vertical sliding sash windows are a superb quality, multi-functional, visually stunning range manufactured exclusively by the DK Windows & Doors. The DK Windows & Doors sliding sash window combines the elegance of traditional sash windows with the benefits of modern PVC materials. DK’s Sash windows will be a lasting feature to your home for many years. 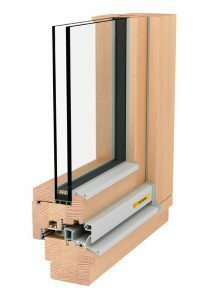 The DK Windows & Doors vertical sliding sash window is available in white, cream, oak and new to the range, black. * To match, window furniture is offered in white, chrome and brass. The vertical sliding sash window can be manufactured to your size requirements, and to give you extra choice, can be manufactured with an arched head. DK’s Sash windows ensure low maintenance, as unlike timber sliders, PVC will not rot or require repainting, and due to the tilt facility, can be easily cleaned. Manufactured from PVCu, DK Windows & Doors ’s vertical sliding sash windows are strong, will not rot or require repainting, this ensures that they retain their colour and shape throughout the years with the minimum of maintenance. The DK’s Sash window is ideal for replacing existing timber sliders in period buildings, whilst at the same time providing character and traditional elegance in all new build houses.